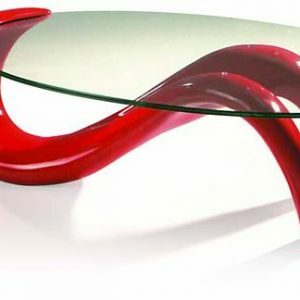 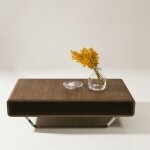 The soft curved edges of the Avis walnut coffee table creates a safer living environment. 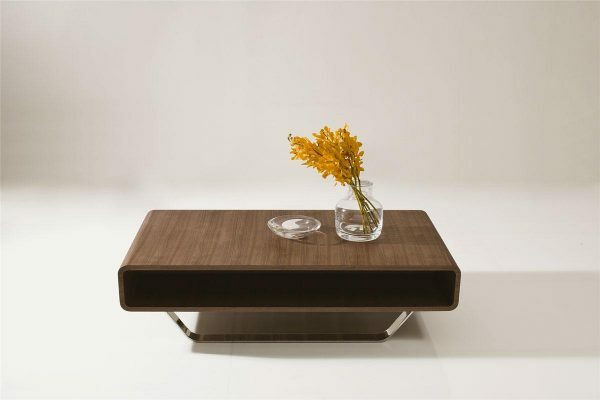 An open inner shelf allows for storage of magazines and remotes. 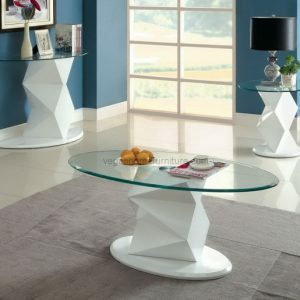 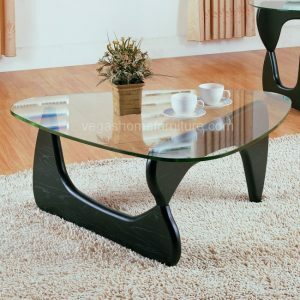 Pulling the aesthetically pleasing design together, the slightly rounded stainless steel legs mimic the table top design.